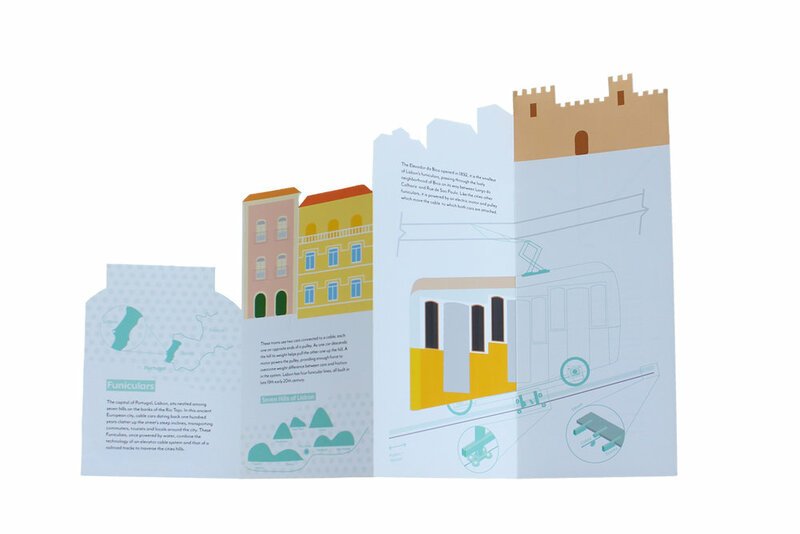 This series of Lisbon travel guides started as a project to take a thing apart, dissect it and present it in a clear way. I decided to take apart the funicular transit system of Lisbon, Portugal. The system has been in place since the early 20th century and carries locals and tourists up and down the seven hills of the city. 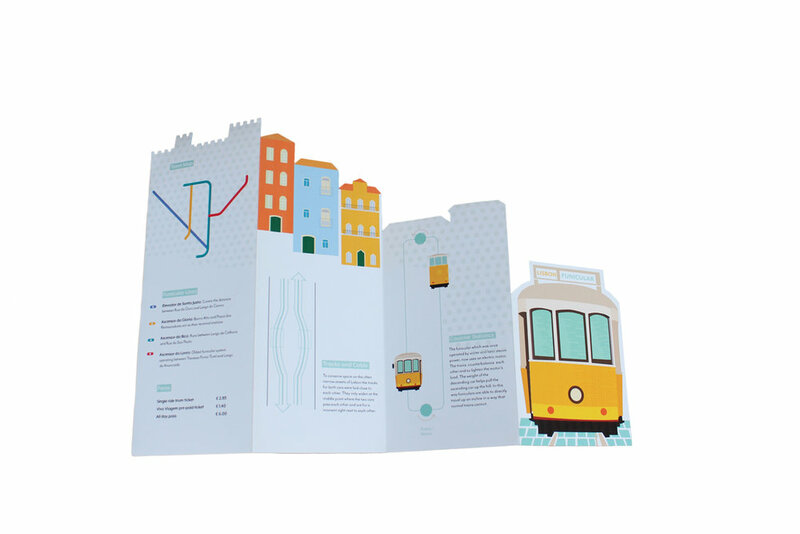 The pamphlet provides information about the history, engineering, and current use of these Funiculars. 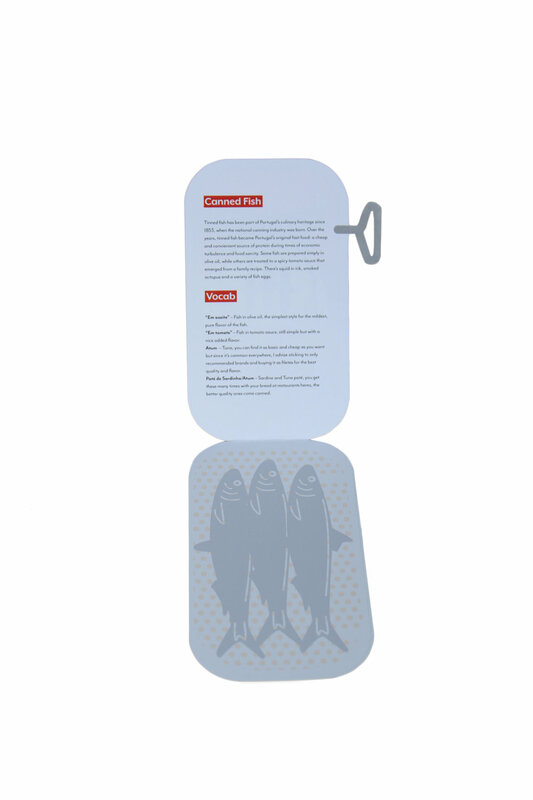 Its ascending die cut format reflects the hills that the city sits on and the funicular that carries people up and down. 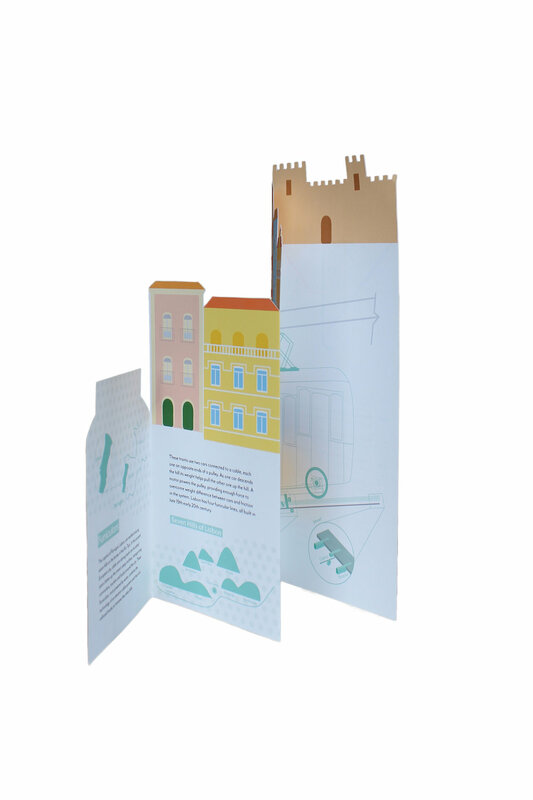 After working on this project I became increasingly interested in the city and decided to create a series of brochures that highlight unique aspects of Lisbon that would interest visitors. 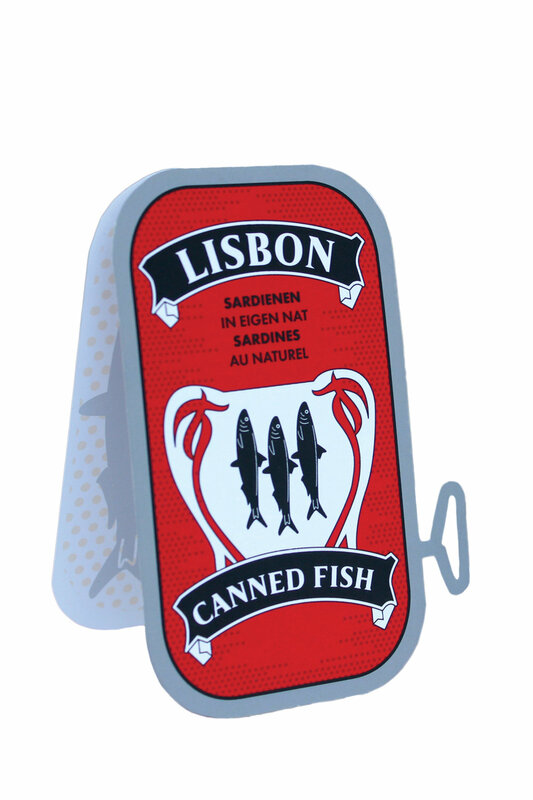 The other pieces look at the popular tinned fish industry and the many Kiosks around the city where one can grab a typical Portuguese drink.